of temporary crowns, bridges, inlays and onlays. 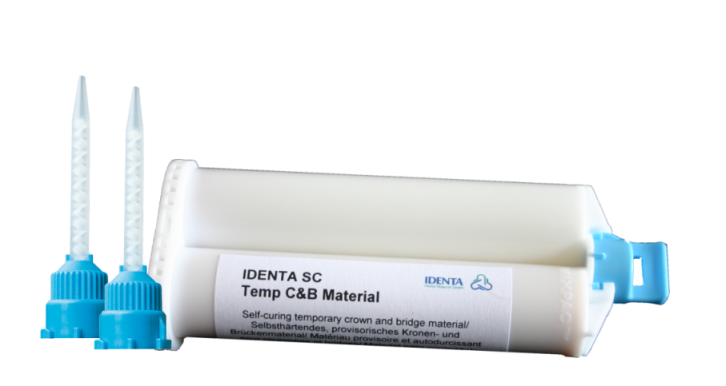 IDENTA SC Temp C&B Material Plus has excellent mechanical properties and is fluorescent. Universal use for highly aesthetic temporary crowns and bridges, inlays and onlays for the most ambitious demands.